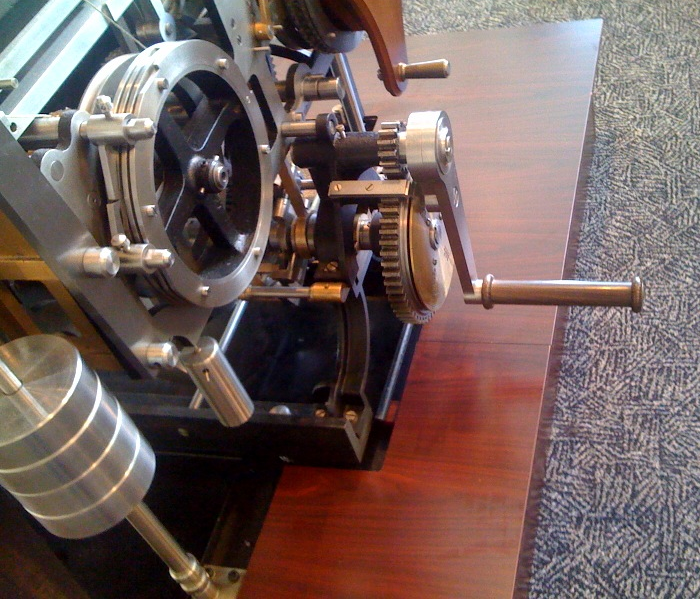 Getfirebug Blog » Blog Archive » What’s this other crank for? What’s this other crank for? A clutch on the drive line connecting the operator crank to the printer allows the printer and calculator to be decoupled. The secondary crank can then operate the printer independent of the calculator. Classic divide and conquer debugging. For followup comments, please use the newgroup. This entry was posted on Sunday, March 21st, 2010 at 11:58 am	and is filed under Uncategorized. You can follow any responses to this entry through the RSS 2.0 feed. Both comments and pings are currently closed.